​Looking for some cool summer fun? Myrna's 2019 summer class info is coming soon! Playing with clay is a cool, creative way to unwind this summer! Myrna will share fun project ideas and lots of new techniques for kids of all ages in her clay classes. Myrna offers FLEXIBLE SCHEDULING to accommodate busy summer schedules. Pick a session and class time to get started, but you can swap for any other classes within the same session. With over 56 scheduled class times, you'll have plenty of opportunities to come! ​If you don't see times that fit your schedule, or if you'd like to schedule the week of Aug. 6, contact Myrna. More times can be added! Need another time? Contact Myrna! Clay classes are held at Myrna's house. $130 per child for four classes if you pay via PayPal. $125 if you pay with cash or check (call to arrange). "Can't thank you enough again for Sam's attendance at your classes last week; he continues to go on and on about his "hut", and can't wait to get back to work!" - Brian J. "Oogly for Charlie is an opportunity for him to release his creative energy after a full day at school. Every Oogly has amazing detail, and of course a full story to go along with it. He tells me it is a little place for his mind to go and have nothing to do with school. Thanks for having great patience!" - Liz S.
"Myrna is a very creative, and fun art teacher. She has an attitude of joy because she loves what she does...My grandson looks forward to attending the Oogly classes. He said, 'Myrna is like a grandmother.' I would like to add that Oogly is not only for children, but also for adults. Oogly is Fun for all!" - Sue H.
"For some of us more absent-minded adult students, it is the year of the "dragonator" (which is a dragon crossed with an alligator, distinguished by its lack of wings!). Thanks, Myrna, for the incredibly fun classes during which my "dragonator" came to life. Regardless of how hectic my life is, my few hours of art is a welcome break to relax and refresh my spirit. I am always a happier and more productive person after my studio time. Every adult should get their hands into clay at some point!" - Jane K.
Have you or your kids taken classes with Myrna? Write a review here and we'll post it for other parents to read. We appreciate your honest and open feedback. 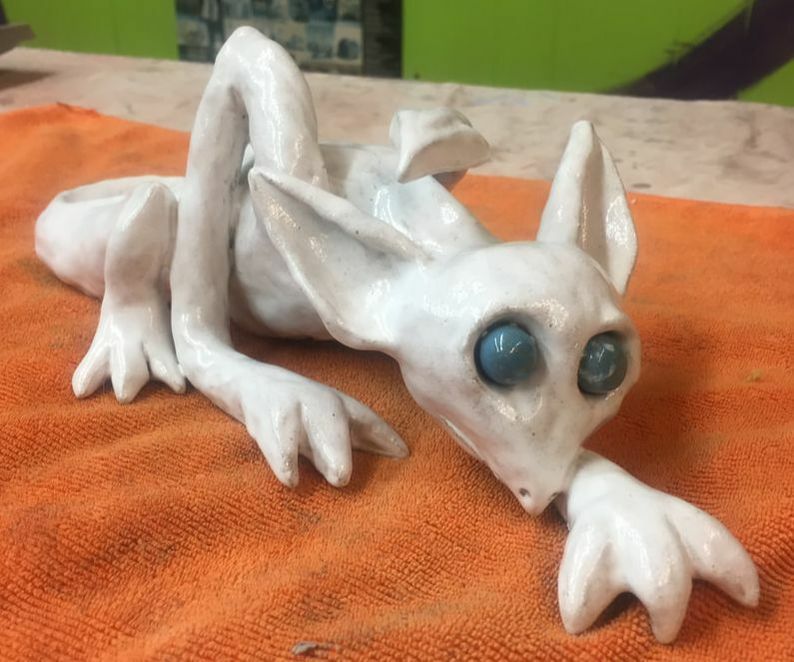 Scouts - Scout groups can come create with clay for $12/person. Contact Myrna for more details. In addition to her summer clay classes for kids, Myrna offers a variety of other activities with clay. For a fun and creative birthday party, consider having the party at Myrna's and letting the kids play with clay. Birthday parties are $15/child and can last 50-60 minutes depending on the age of the child. Bring your cake and presents to celebrate and let everyone join in the fun! For more details, contact Myrna. ​What occasion do you have to celebrate and play with clay? Myrna can help with a creative party for any occasion.